Movies that don't adhere to conventional, linear modes of storytelling aren't exactly anything new. Quentin Tarantino has made an entire career out of making non-linear films to the point that it almost seems like more of a habit than a necessity. But there is something fresh, even invigorating, about the way it is applied in Thai director Pen-Ek Ratanaruang's Headshot. I'll admit that Thai cinema is an area I'm not particularly familiar with outside of the films of the incomparable Apichatpong Weerasethakul, who has a habit of knocking out a masterpiece every time he steps up to the plate. But what I like about these films is their knack for exploring what is going on beneath the surface. What is going on in front of our eyes is never what the film is really about, and even in an action film like Headshot, there are themes that are being explored beneath the obvious . That alone would be enough to make Headshot one of the finest action films I've seen this year, but Ratanaruang goes above and beyond, delivering a surprising and original police thriller that hits like a blow to the head. A scene from HEADSHOT. Courtesy of Kino Lorber. Except this is no ordinary cop movie. Tul (Nopachai Jayanama) was once one of the most respected cops in Bangkok. The head investigator of a celebrated case, he has just busted a massive drug enterprise being housed in a warehouse belonging to a prominent political figure. When their attempts to bribe him to drop the case fail, Tul finds himself embroiled in a dangerous blackmail scandal, that eventually lands him in jail. It isn't long before he is approached by another organization that admires his unwillingness to compromise his principles, and wants to hire him as a hitman to go after other bigwigs whose high connections have helped them escape justice. But in one tragic moment, Tul is shot in the head, and when he awakes his entire world is literally upside down, leaving his vision inverted and his entire world topsy turvy. Now consumed by desire for revenge in an increasingly complex world, Tul must navigate the mean streets of Bangkok searching for a redemption that he may never find. There's a certain element of early Christopher Nolan at work in Ratanaruang's sly reworking of Tul's upside down world, but the film ultimately has a seductive film noir quality. Ratanaruang uses the non-linear structure to his advantage. Just when you think character motivations don't make sense or plot points aren't adding up, he doubles back and reveals his narrative slowly and deliberately. There are a few loose ends here and there, but even when it doesn't add up its a fascinating work to contemplate. Ratanaruang takes what could have easily been a standard potboiler and turns it into something dark and gripping, This is top notch work, a gritty police melodrama whose ideas of justice and karma set it apart from the competition. 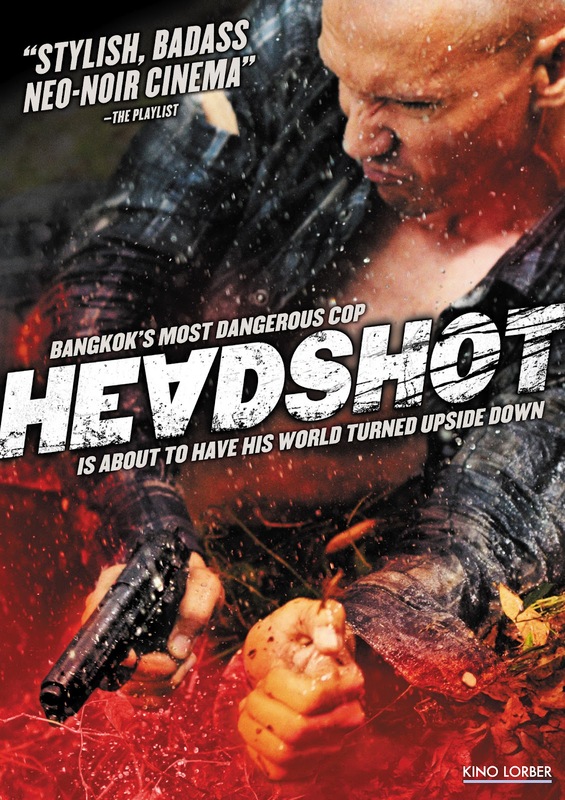 As both a meditation on the nature of justice and a heart pounding action film, Headshot delivers on all fronts. 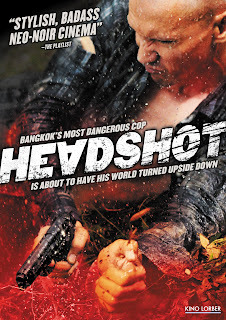 HEADSHOT | Directed by Pen-Ek Ratanaruang | Stars Nopachai Chaiyanam, Sirin Horwang, Chanokporn Sayoungkul, Apisit Opasaimlikit, Kiat Punpiputt | In Thai w/English subtitles | Not rated | Opens tomorrow, 9/28, at the Cinema Village in NYC and the Grand Illusion Cinema in Seattle. On blu-ray, DVD, and On Demand 10/2. Thank you for this great review of Headshot, Mathew! I have been poking through Blockbuster @Home looking for a good foreign film. Thanks to your review, I think I will give Headshot a try. I just added it to the top of my queue. A few of my DISH coworkers and I started a little foreign film club, and I should receive Headshot before our next gathering. I have heard Headshot referred to as a “Buddhist Noir”, and I would like to see how that plays out on screen.